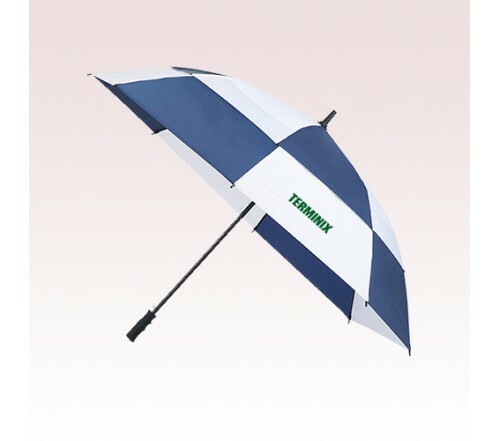 62 Inch Arc Customized Totes Auto Open Vented Golf Umbrellas are featuring an extra-large polyester canopy along with fiberglass shaft and ribs. 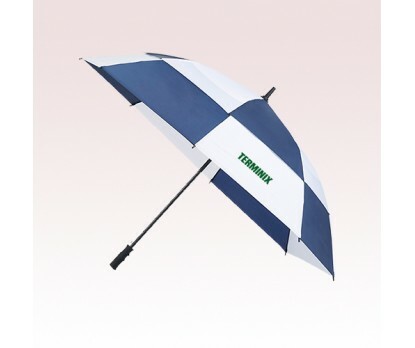 Open just with a touch of the button to stay dry even if rain starts falling unexpectedly. The 6.00" H x 8.00" W imprint area guarantee enough impressions from users to give your brand a familiar face. Best as corporate gifts, these custom umbrellas are coming in Black/Khaki, Navy with White and Black with White color choices. Order these custom auto open/close umbrellas today to gain our free artwork design and free online proofs. Request a quote to know savings that you can pocket on bulk ordering these 62 Inch Arc Customized Totes Auto Open Vented Golf Umbrellas. Available Colors: Black/Khaki, Black/White, Navy/White. Additional Information: Opens with just the touch of a button. Featuring an extra-large canopy to keep you dry while its fiberglass shaft and ribs keep you safe.